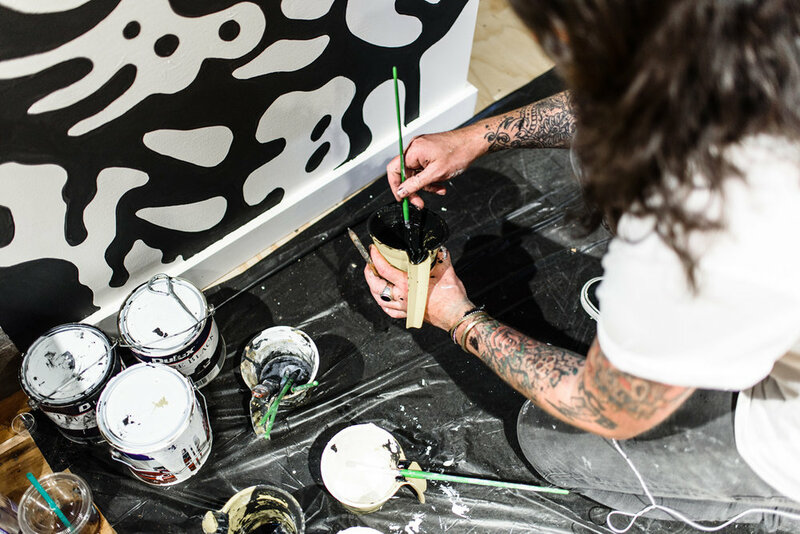 A week ago we captured artists Sindy Sinn and Kiel Tillman smashing out a couple of murals in Brisbane's new General Pants Store. 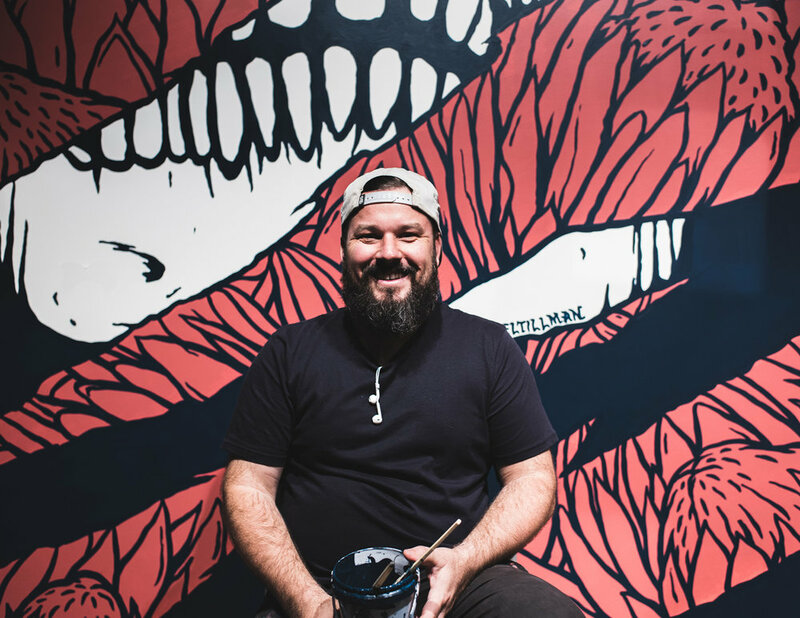 We talk to the man behind Authority Creative – Christopher Skyner, who made it all happen. 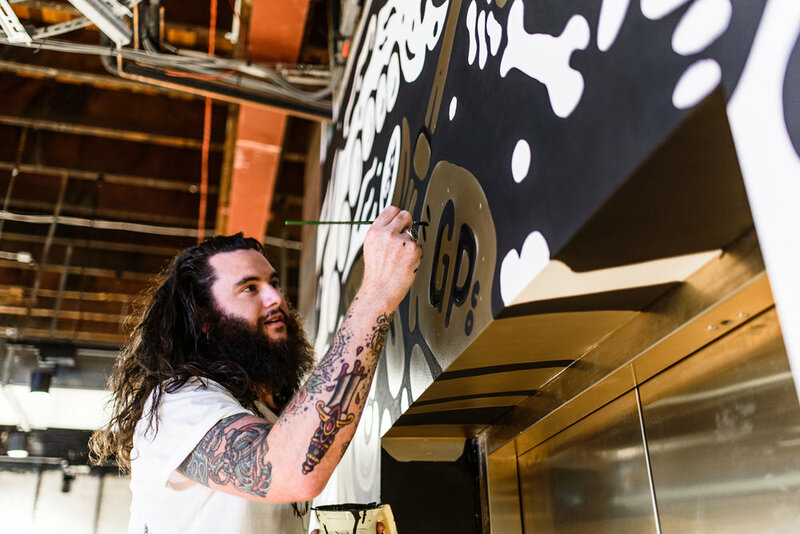 The murals completed at the new General Pants store in Brisbane City look epic. Have you worked with artists Sindy Sinn and Kiel Tillman before? Never actually, I have been a massive fan of Sindy's work for a while now. We met up over a year ago to talk about potential collaborations and I’m pumped to have finally found Sindy the perfect client for our first gig together. Such an awesome match. At the beginning of this year I also started to notice the work of Kiel pop up more and more over social media. My main man Lee Spendlove got me onto him originally I think, and since then I have only heard great things. I decided to present his portfolio to the General Pants VM team and they loved it! What do you like about their style of work? Each artwork is bold, badass and super distinctive, perfect for the GP brand. How often do you snag creative work in Brisbane for Authority Creative? What’s your take on Brisbane? Spend much time here? This is Authority's first project in Brisbane, and funnily enough we have another project coming up in a few weeks at Deathproof Bar with 42 Below Vodka. Can’t wait to start spending some more time in Brisbane as it seems to be going off creatively. "This is Authority's first project in Brisbane, and funnily enough we have another project coming up in a few weeks at Deathproof Bar with 42 Below Vodka." How did the opportunity arise to work with numerous General Pants stores? We were approached by the Visual Merchandising team a few weeks out from their Bondi store launch to recommend artists for a few upcoming projects and we just hit it off. At each store, the artists work just blew the GP team away, one after another. What’s next for Authority Creative? The rest of this year is going to be huge, I probably shouldn’t let too much out of the bag but we have some fantastic projects just around the corner. Our next gig is an awesome project at Barangaroo by Lendlease. Keep an eye open for this one, it's going to be wicked!